Between 1350 and 1650, a vast number of bronze objects, both large and small, decorative and functional, were produced in Venice for domestic consumption and for the export market. Whether unique works of art specifically commissioned from renowned sculptors by wealthy patrons, or low status artefacts mass-produced by founders for speculative sale in their shops, Venetian bronzes are distinguishable from those made at the same time in other centres by the great beauty and variety of their form, their rich ornamentation, and by their generally high quality. 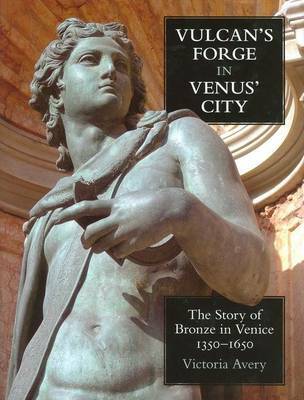 Based on a wealth of unpublished documents and newly available scientific data obtained during recent conservation projects, this book tells the story of bronze-its production, placement and purpose-in Venice through the objects themselves and the people who commissioned, made and owned them. It reveals the location and purpose of key independent foundries in the city centre, as well as the state-owned foundries at the Arsenal. It sheds light on the identities of the founders, their daily lives and workshop organisation, and tracks the rise and fall of the most important dynasties, their successful collaborations and fierce rivalries. The genesis and creation process of certain significant bronze masterpieces is discussed, together with a number of long-forgotten casting disasters and abortive commissions. The text and documentary appendix are enhanced by lavish illustrations, which include newly commissioned photographs of recently-restored works of art, and unpublished historical photographs.